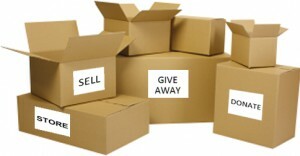 Home Design: What Am I Going to Do with All This New Stuff? We’re past the holiday and as fun and wonderful as they were, your home may now resemble Hoarders more than Martha Stewart. We have a few small tips that can help you organize and declutter the mess as well as our full home design and decorating service that can make your home beautiful and functional. Look for Christmas Tree Drop Off Sites: If you have a live Christmas tree, check out your options before getting rid of it. Discarding an old Christmas tree can be quite difficult, many trash collectors will not take Christmas trees and some require that you completely cut it up and fit it into garbage bags. Many cities also have ordinances that prohibit burning anything outdoors within the city limits. Instead look in the paper or your city or county’s websites to see if there are any recycling opportunities or drop-off locations. For example, the City of Evans, Colorado collects the residents’ trees, weighs them down, and pushes them out on the frozen lake. When the ice melts, the trees sink to the bottom and become natural fish habitats. Turn all of your hangers backwards: When you wear clothes, turn the hangers back around. This simple activity will help you determine which clothes you can live without. At a predetermined time, 3 months, 6 months, 1 year… take out all of the hangers facing the wrong way and donate those clothes. Decluttering your closet will open it up and make it look more spacious. Recognize Replacements: It sounds simple, but many people buy things or are given gifts during the holidays to replace something that they already have. It’s all too easy to place the old version to the side and let it collect dust. If you get a new set of cookware, Blu-Ray player, or even clothing that replaces an old or worn set, make sure to pass the old version along, whether it’s to a friend, Goodwill, or just the trash. Hire a Professional to Redesign Your Home: What a coincidence! We happen to be some of the best home designers in Colorado! But in all seriousness, if this holiday season you were gifted some “spacious” gifts, your old home layout may not work anymore. Maybe you’re replacing an old loveseat with a new full-size sofa… Or your entertainment center got an upgrade… Maybe you’re trying to find room for the exercise bike that you husband says “totally fit when I measured it at the store.” No matter what issue your facing, our team can help find the right home design for your new stuff. Give yourself one last gift this holiday season and set up a consultation with one of our professional stagers. If you’re like most Americans, the television is probably the focal po int of your living room. To be fair, it has probably earn that right, since it is probably one of the most used articles in someone’s home. However, what if you want to have a social evening conversing with friends or curled up in front of the fireplace, how do you separate yourself from the tube? We have come up with a few suggestions that will keep your TV available for use, but hidden during the rest of the day. If you have the space and the right design in your living room, an old armoire can be easily converted into an entertainment center. The large wardrobe provides plenty of opportunities to organize and store all of the accoutrement for a fully-functioning 21st century media center, but with a stylish 19th century shell. The drawers are often perfect for storing DVDs and Blu-Rays, the lower shelves are great for hold media players and game consoles, and the whole piece does a great job of hiding and organizing wires. 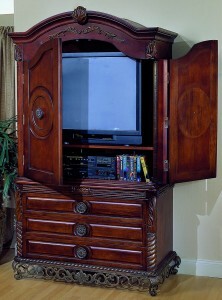 You may have a television that is just too wide to fit into something like an armoire. In this case, you may have to consider getting your hands a little dirty and putting together a custom shadowbox that will conceal the TV. While this project takes a little manual labor, it is a fairly simple project that makes a great family home improvement project. Start by mounting your television to the wall using a TV mounting kit sold pretty much anywhere you can buy a TV. Measure the dimensions that you will need to cover the monitor, including depth. Cut your pieces of wood at to length, leaving 45 degree angles on the edges. Fasten your pieces together, check that it fits well over your television. Finish the design by place the covering over the front of the shadow box. 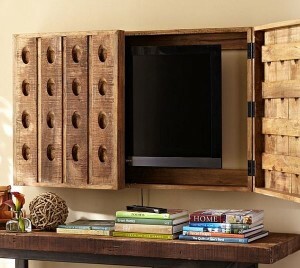 After the shadowbox design is complete, place it over your television and mark where the studs cross the box. Use brackets to fasten the box to the wall (making sure that it is level) and you have successfully hidden your television! It is important to remember that you will have wires that need to be hidden, you may need to build shelf or additional mounted cabinet or cut open your drywall to successfully hide them. You will also need to have a place to store your entertainment equipment, such as a cable box, DVD player, and game systems, so a mounted cabinet may be your best option. Finally, if you are a bit more capable and really want to impress your guests, create a built-in to house your television. 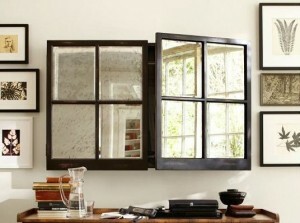 First, make sure that you have room in your wall to add the built-in. Then install the TV so that it is either inset, so that it can be concealed, or flush, so that it can b e framed and turned into a beautiful digital picture frame when not in use. While you have your wall opened-up, it is probably a good idea to call a certified electrician to add an outlet to the built-in that will help hide your wires. These are just a few of the unlimited ways that you customize your entertainment center to your lifestyle by adding a little flair. If you are looking to redecorate your home or even just a room, we are happy to set up a consultation. Give us a call or shoot us an email using the information provided below.